Gary Fisher in Ohio (a lead guy with the CLC) sent us this really cool link for many, many car brochures thru the years! WOW— Check it out to find your favorite make, model and year! 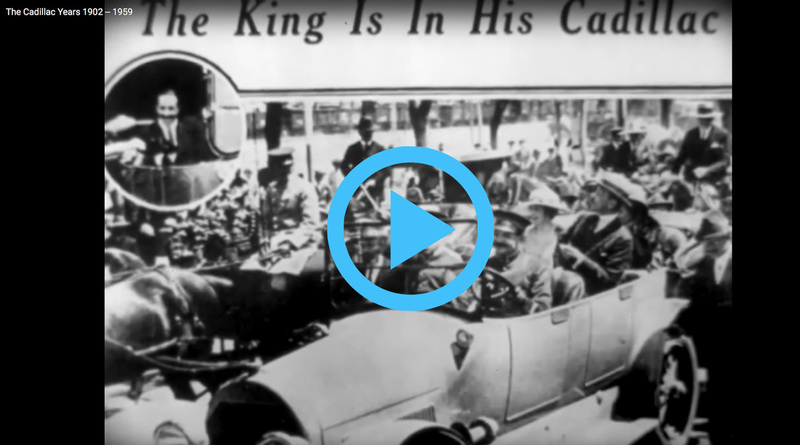 If you're wondering, "What's so special about a Cadillac?" — this video should answer that. To see the related article, just CLICK HERE. The outcome? Cadillac is STILL considered The Standard of the World. And what about the tail fin? Legendary automotive designer Harley Earl, (left) VP of Art & Colour at General Motors, is most often credited with introducing the tail fin on the 1948 Cadillac. Earl was prescient. He anticipated the post-war desire for having a piece of American bravado in the family’s driveway. Soon enough Cadillac was offering some sharply pointed versions of the tail fin to mimic the jet aircraft of the Fifties. But in ’48 – ’56 the Cadillac fin owed its curves to the Lockheed P-38 Lightning. The P-38 Lightning, which the Luftwaffe called the “twin-tailed devil” for its agility and deadly firepower. 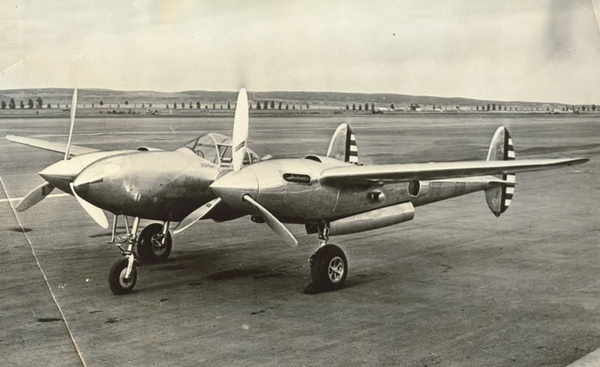 The engines for the P-38s were Allison V-1710s: Turbo-supercharged, liquid-cooled V16s pioneered by Cadillac, and produced by an Indianapolis company that GM had acquired in 1929. These superchargers were scarce, because the bombers like the B-17s (which flew at high altitudes) got top priority. That meant the P-38s were the main fighter aircraft to get them, and making the Lightning so dangerous at the altitudes flown in Europe and over Japan. Earl had visited this aircraft up close before the war; it was a small leap to the twin-boom tail on his ’48 Cadillac. Pause for a while as we drift through the ages, tracking the evolution of the tailfin, the transformation of the Cadillac crest, and the morphing of the Cadillac logo. We have reserved some space here for other historic images and subjects, just for your entertainment. If you have something to add, why not send it along?